Rediff.com » Business » Telcos: Beware Chinese bearing gifts! Telcos: Beware Chinese bearing gifts! Chinese telecom company Huawei is under fire in America, with the US justice department accusing the Chinese company of stealing trade secrets and obstructing justice. 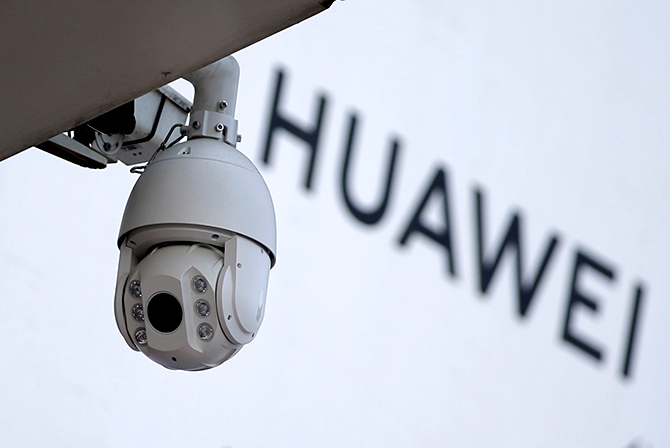 The prosecutors have also alleged that Huawei had created a scheme detrimental to the security of the US, by using an unofficial subsidiary in Iran to obtain prohibited US goods, technology and services for its official Iran-based business.. US prosecutors believe that Huawei founder Ren Zhengfei repeatedly lied about its business dealings in Iran. The US alleges that Huawei had a policy in place that gave bonuses to employees who successfully stole confidential information from competitors. As Huawei faces problems selling its 5G equipment in the West, it is looking at developing countries that are price-sensitive. India is no exception. India invited Huawei to participate in the 5G field trials in December 2018 while the US, the UK, Canada, Australia, New Zealand and Japan sought to block the Chinese company. Huawei has been a key player in the Indian telecom market with a market share of 30%. The question is, how dangerous is the situation for India? 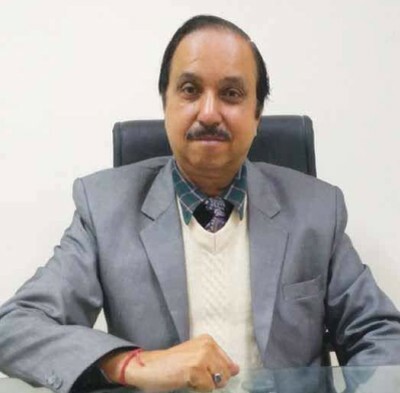 "It is very important that we should have full control of everything in the network,"Rakesh Kumar Bhatnagar, secretary general, Telecom Equipment and Services Export Promotion Council, tells Rediff.com's Shobha Warrier. While India invited Huawei to participate in the 5G field trials, the US, Australia, New Zealand, Japan, etc banned its products on future 5G networks. Should we be inviting Huawei when other countries feel Huawei is detrimental to their security? I don't want to comment on what is happening in other countries as they have their own security policies. But as far as we, as an industry body, are concerned, we first want to take care of the interests of our domestic manufacturing industry. Along with that, the security of the network also comes in. In the coming days, the whole world is moving towards 5G networks. It means there will be Internet of Things (IOT) devices in the network, machine to machine communications and Autonomous Things (AuT) or Internet of Autonomous Things (IoAT, an emerging term for the technological developments that are expected to bring computers into the physical environment as autonomous entities without human direction) in the control systems. The big issue in the 5G network is the physical network of a number of routers, switches and base stations. Security can be breached at any one stage. The threat is not coming from just any company or any country because the instruments are coming from Japan and Korea also. So, users are vulnerable to devices from these countries too. So, if you go deep into the subject, what is really required is all our communication network should be based on Indian technology. If we use domestic design and devices manufactured in India, there is no cause to worry. Are we equipped with the right technology? Yes, we are. As far as software is concerned, India is the largest exporter of software in the entire world. Even in hardware also, whatever designs we have designed are deployed in networks in other countries. You mean, where the security of a country is concerned, it is better to use technology developed domestically? See, today we are concerned about products from a particular company from China. Tomorrow, it could be some other country. What I am saying is because of IoT, machine to machine communications and IoAT, you can have control over the devices, control over the system and control over the power stations. See, today we are talking about smart cities where you will have so many such smart devices. That means you can remotely control all these and there are all possibilities of interception and data stealing as they are open, unless you have full control of them. You will never know when someone is trying to change or redo or copy data without the knowledge of the network. Technically, all the data is going to be open for anyone who is in a position to control the network as he will also be in a position to control the flow of the information that is taking place. For example, you keep getting at least one update every day on your mobile phone and you just update them. Similarly, these networks are also regularly updated and even if there is human intervention, the person in charge of the communication network may not know the technical details of the updates. So, s/he may allow all the updates to take place. Till everything is fine, there is no problem. In a situation like war or when an enemy country is looking for information to sabotage a system from a remote location, they can access your data, they can stop the functioning of our power plants, they can stop the functioning of critical systems in the network. From that point of view, it is very important that we should have full control of everything in the network. Whatever has happened with the 2G, 3G and 4G networks has happened. But 5G has not come to the market yet. We have time to take such policy decisions that gives us control over the future networks that we are going to have. We need to have a safeguard built into the system when you have the 5G network. Let me reiterate. The real issue is not Huawei or some other Chinese company; the real issue is the security in the network. Any technology that has remote monitoring, remote maintenance and where remote changes are possible, these should be done only domestically. Does that mean the whole world itself has to look at data security from a different perspective with 5G technology coming in? Exactly. Artificial Intelligence is also going to play a major role in the future. We are going to be in a virtual reality world with AI gathering data and robots coming into the picture. It means human intervention in many things is going to be less and less. In such a scenario, we should make sure that all types of sensors, all types of robots, all types of machine to machine devices and all types of Internet of Things are in good control. Will security be a major concern for all countries as a lot of data -- that too very sensitive data -- is going to be out in the open? Hackers are becoming more and more intelligent. As technology is changing, they are also getting new ideas on how to steal data. They also know the value of data more than ever. I will give you an example. A laptop may cost around $500 all over the world with a little bit of difference here and there. How can somebody sell it at $50 as against $500? That is s what these Chinese companies are doing. Similarly, when tenders are called for devices by public undertakings in places like the north east, Chinese companies bid at least 1/10th the price or 20% of the expected cost. It is only to capture data that they do this as the system is going to carry critical communication from the government and defence authorities. So, unless there is some motive, why should someone bid at an abysmally low cost, just 1/10th of the real cost? They bid at such low prices that Indian companies cannot compete with them. We have to understand that if you are going to use imported technology, harm can come (from) anyone and anywhere. If I am the designer of the technology, and remote control, remote maintenance and remote monitoring is with me, if I want to manipulate or steal data, I can always do that. Do you feel it is time India opened its eyes to this dangerous reality? Yes. We should have maximum control with us. Some people talk about buying the software code. Even if the code is with us, how many people understand it? When a software code runs into thousands and thousands of instructions, how many will know all of them? In a crisis, even if you have the source code available, you will not be able to do anything at all. Another important thing is, if you also look at the import export ratio of telecom equipment with China, the ratio is 100:1! If imports from China are 100, exports to China are just 1. Do you know why? When they call for tenders in China, the condition is such that companies should comply with Chinese standards which make Indian companies not qualified to apply. On the other hand, do you know from where Indian telecom players like Airtel, Vodaphone etc buy their equipment? From multinationals, including Chinese companies. They don't procure equipment from India. What is the reason for this? If I have to procure equipment for Rs 1,000 crore, a Chinese or a Korean company will offer a 10 or 15 year credit line at an interest rate of 0.5%! It means if you buy from them, you don't have to pay upfront. On the other hand, if you are buying from India, no Indian company has deep pockets to provide this kind of an incentive. They are able give such incentives because of the support given to them by their governments. Most Indian companies buy from China only because of this kind of incentive they are getting. By doing so, these Indian companies are exposing themselves to dangers in the coming years. In fact, Vodaphone has stopped buying from Huawei in Europe. Yes, you cannot have 100% check on everything, but you can have some sort of a safeguard. Do you feel that most countries are moving towards protectionism? What is happening in the US is a trade war. But security has a big relevance now. When everything is going to be on automatic mode remote control, you need some safeguards. Now that the developed world is banning Chinese companies, they are looking at India as a huge market. So, what should India be doing now? India should offer adequate incentives to domestic players so that they bought equipment from India. 5G spectrum is going to auction and everybody is paying huge charges for the spectrum. Government can say if they are buying all the 5G equipment from India, they should be offered discounts on spectrum charges. It is a good incentive for them to buy equipment from India. The government has to come up with a package, but every concerned department has to work in coordination. They cannot work in isolation. The government, the operator, the regulator, the consumer and the manufacturer should work in the direction of providing the best possible support to domestic industry. If the software is with us and the control is with us, at the time of any eventuality, we can avoid potential danger taking place. Mr NSA, what are you doing about Huawei? US vs Huawei: What is the controversy all about?